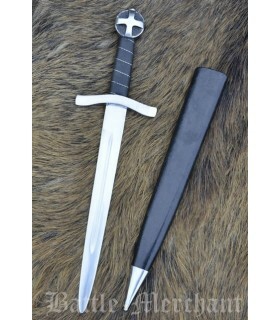 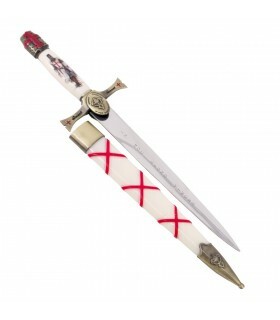 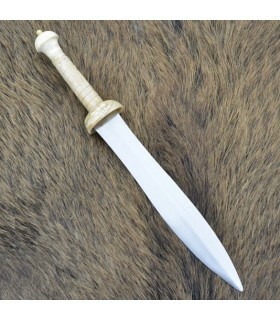 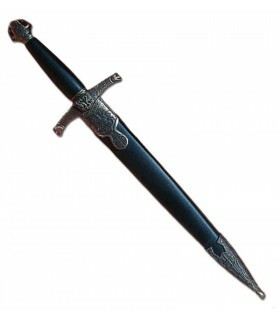 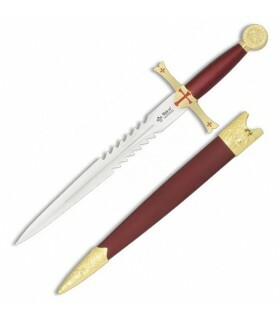 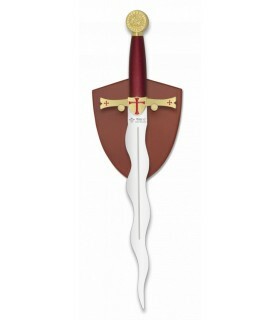 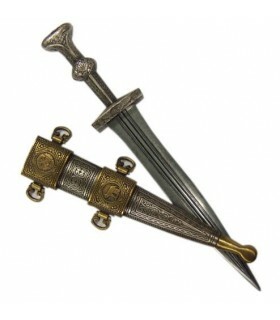 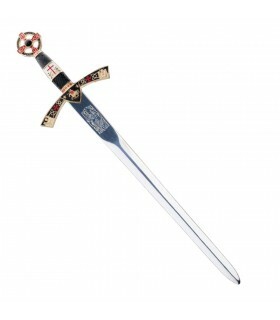 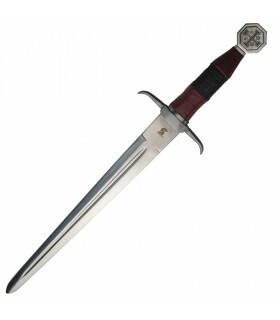 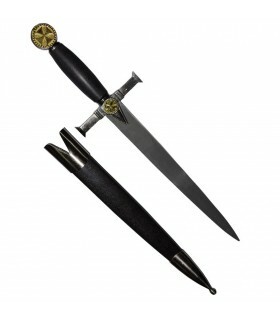 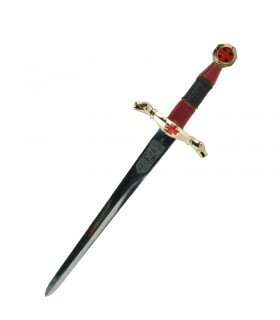 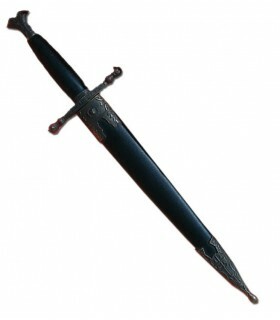 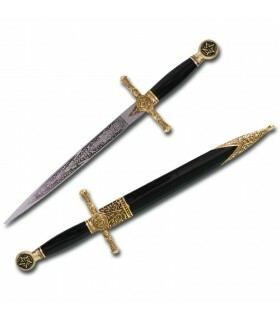 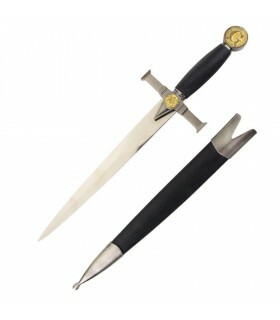 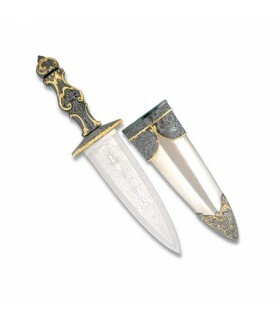 Templar dagger pointed with stainless steel sheet. 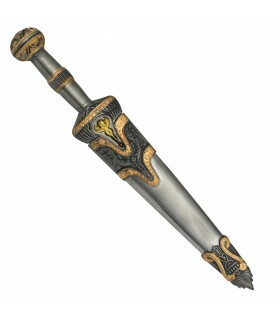 It includes leather sheath coated. 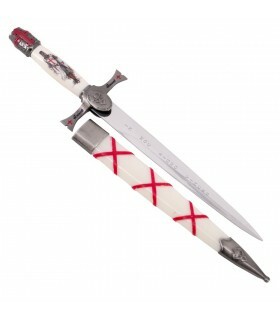 Length: 45.7 cms. 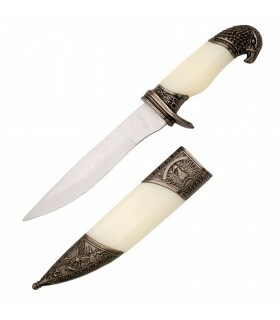 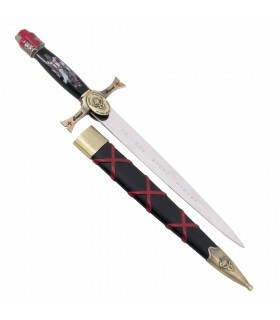 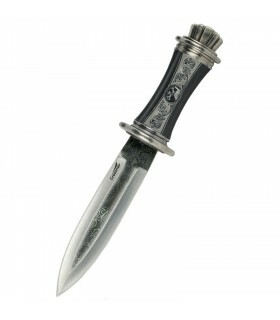 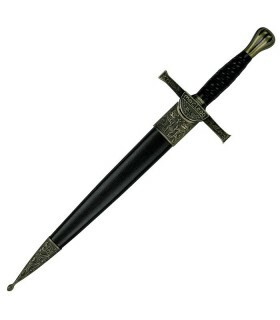 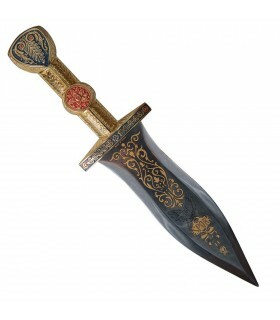 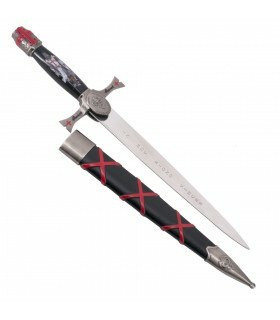 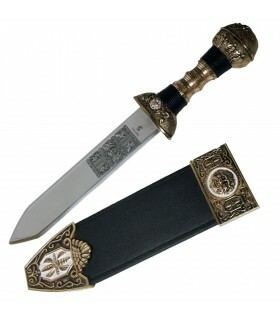 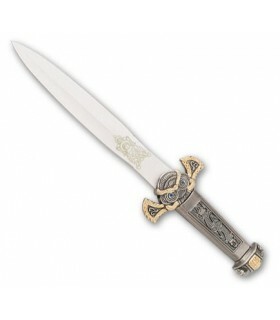 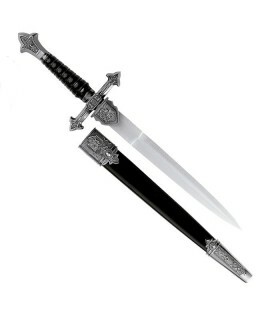 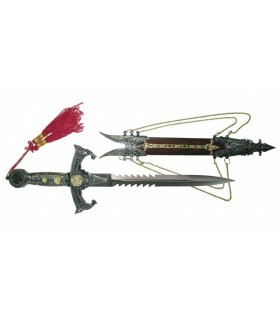 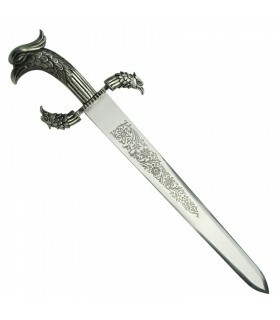 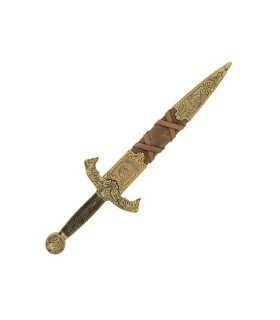 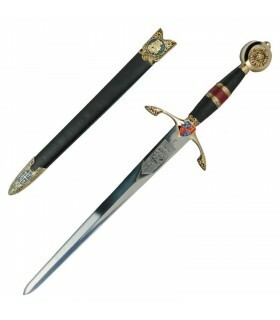 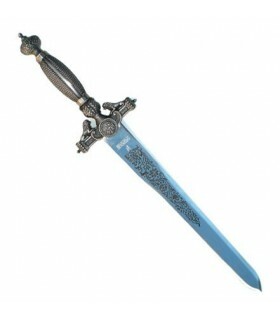 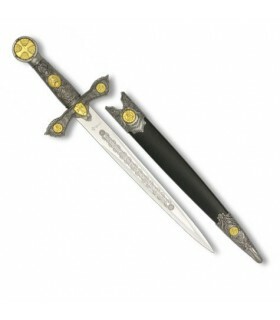 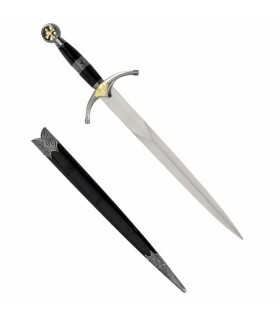 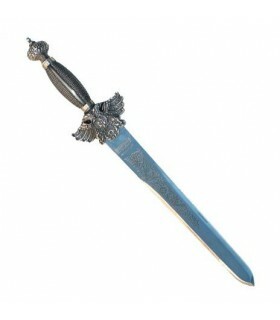 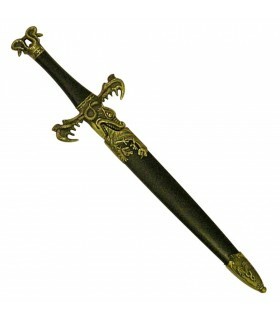 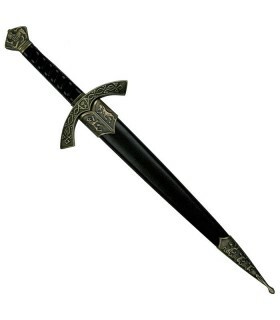 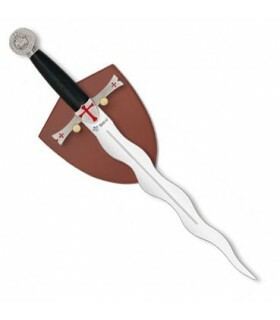 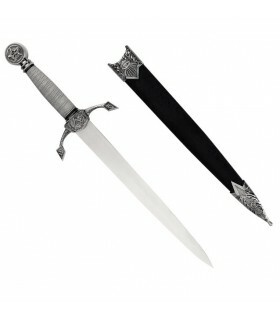 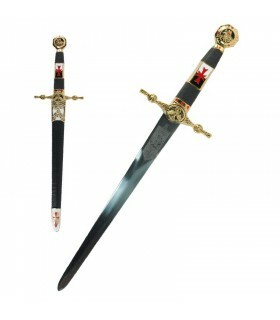 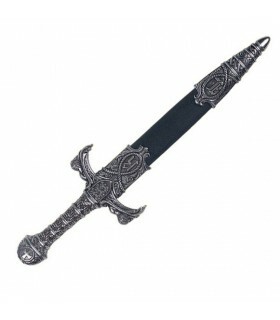 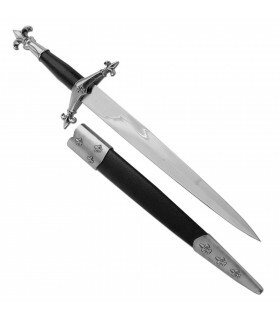 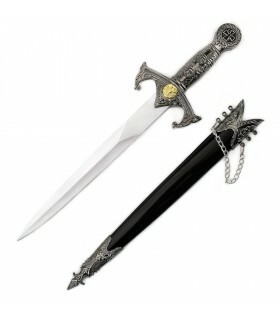 Masonic blade forged in stainless steel, decorated leather sheath and metallic finishes. 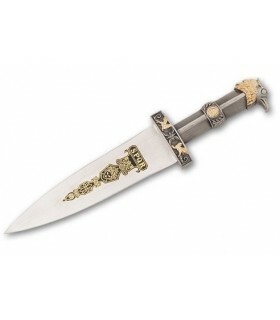 Dagger Roman eagle with silver finish and ivory imitation hilt. 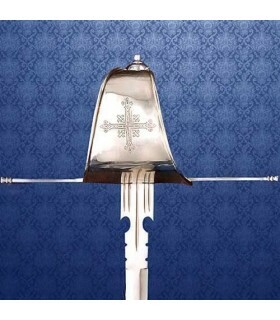 Includes cover.